The Alumni Engagement Committee reviews strategic decisions concerning social activities, community service opportunities and continuing education programs for alumni and assists in the development of communication pieces. 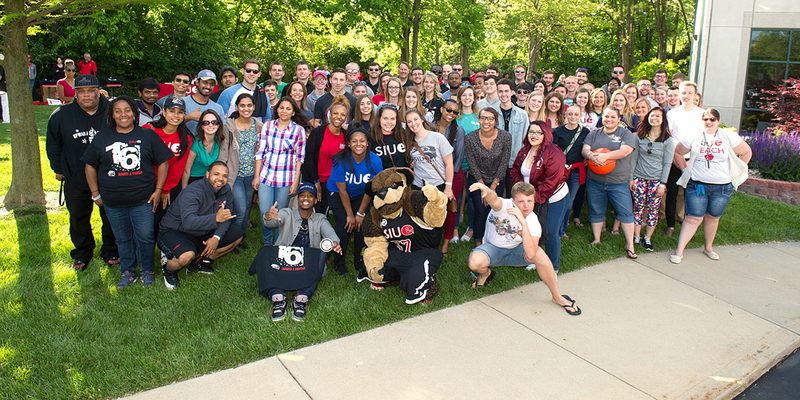 Members maintain the responsibility for developing a strategic schedule of events designed to get SIUE Alumni involved with each other and their alma mater. The committee develops alumni services which could include, but are not be limited to, career services, lifelong learning opportunities and greater access to the University facilities like the library and fitness center. The Awards Committee oversees the annual awards and scholarships presented by the Alumni Association. It leads the fundraising efforts initiated by the Board and works to identify potential donors, as well as providing stewardship to past donors and award and scholarship recipients. The committee also conducts the annual board solicitation. The Mentoring Committee oversees the development and evaluation of the mentoring program. The committee also helps identify other opportunities for mentors to provide lectures, career advisement for SIUE students. The committee may also develop professional affiliations with the intent of securing internships, co-op placements, or job placements for SIUE students and alumni. The Advocacy committee provides the mechanism and support necessary to keep a channel of communication open between the University and its alumni. It works with academic units to recruit alumni to serve on advisory boards and other university committees. The committee also promotes the University to external stakeholders, our alumni, the community and potential students. The committee also serves as an advocate for the University in support of enrollment management, SIUE athletic teams and with the State legislature. The Finance Committee oversees the budget of the Alumni Association and the Office of Alumni Affairs. The committee reviews revenue and expenditures for the Alumni Association as well as the student alumni association, STAT. The committee oversees the investments of the Alumni Association budget. The committee reviews and votes on expenditures over $500. The committee makes recommendations concerning financial matters during quarterly board meetings which will be voted on by the full board of directors. The Bylaws Committee oversees the bylaws of the Alumni Association. The committee is required to meet at least one time per year to review the current bylaws and make recommendations for any changes and additions. The recommendations and changes would be submitted to the executive committee for review. The recommendations would then be made to be voted on by the full board of directors. The Executive Committee is comprised of the President, the President Elect, Vice President, Vice President of Finance and the Immediate Past President, with the Secretary serving as a non-voting ex-officio member. Interested in Participating on a Committee? All alumni are welcome to serve as non-voting members of the Advocacy, Mentoring and Alumni Engagement committees. If you are interested in applying to serve on a committee, please contact us or call 618-650-2760.